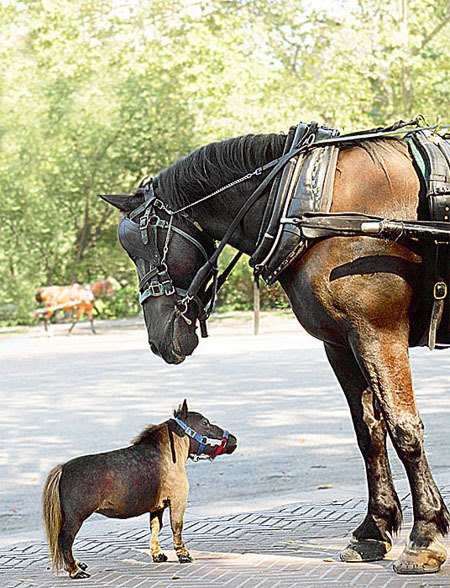 At 17 inches tall, Thumbelina has just been officially recognized as the world's smallest horse.The five-year-old received the title from the Guinness Book of Records after her astonished owners realized she was never going to grow any bigger. 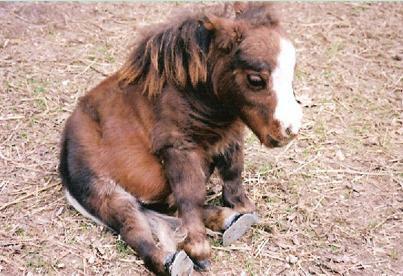 She was born on a farm in America to a couple who specialize in breeding miniature horses.Thumbelina's extraordinary size has been put down to dwarfism, which makes her a miniature of a miniature. The Goessling family have bred miniature horses for the past 15 years on Goessling's Goose Creek Farm in St Louis, and these usually stand at 34 inches at the withers - the ridge between the two shoulder blades. But the owners of the mini horse began to realize they may have bred a record-breaker when she stopped growing after a year. Her owners have plenty of cute stories–”When she was young she found the dog kennels and decided she wanted to bed-in with the dogs, rather than with bigger horses”–about her. Thumbelina has a website, and you can check it if you want - here.